Frying and sizzling, cooking and stir-frying result in cooking fumes which rise up. 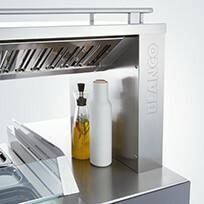 The extraction bridge of the BLANCO COOK front cooking station collects these fumes above the cooking units, which makes it significantly more efficient than other methods. 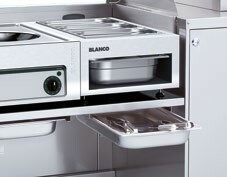 With its highly efficient extraction and filter technology, BLANCO COOK ensures the best climate and makes you independent from stationary extraction hoods. The continuous cough protection ensures the best hygiene. It can be easily folded down for cleaning. 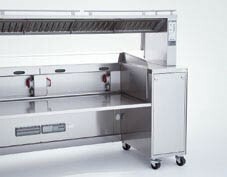 The cooktops worktop can be easily removed, for example, to accommodate a standalone unit. Because the extraction bridge is very thin, more room is left for arranging and placing food. 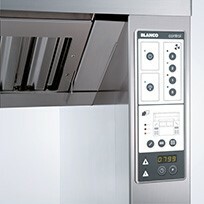 The electronic controller with clear symbols makes operating the front cooking station simple. The filter change indicator automatically reminds you to change or clean the filter. 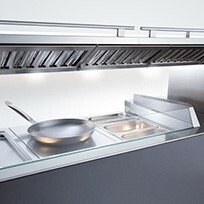 Integrated and flush LED spots illuminate the entire work surface ideally and put food in the right light. 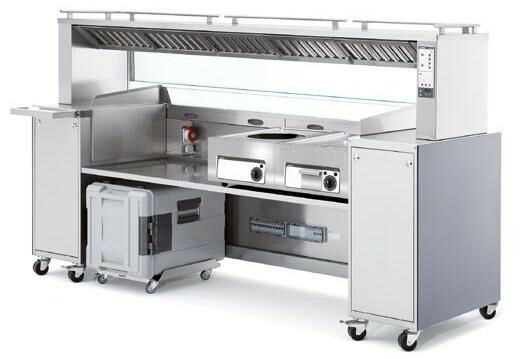 The multi-frame offers space for secondary activities such as setting down and storing items. 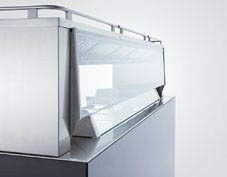 Simply insert a GN container or lay in a glass shelf to create an additional work surface. Please insert anything which should be stored directly under the cooking units here. 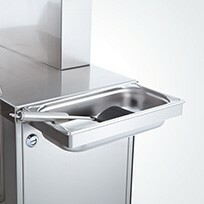 Food and cooking utensils can disappear into GN 1/1 containers of any depth. 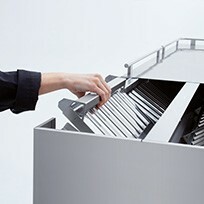 Simply lift the lid, remove the grease filter and put them into the dishwasher – without any tools whatsoever. (1) Vacuum and a three-sided air stream guide the fumes to the extraction bridge. (2) In the extraction bridge the grease is separated. (3) Fleece and grease filters absorb moisture and aerosols. 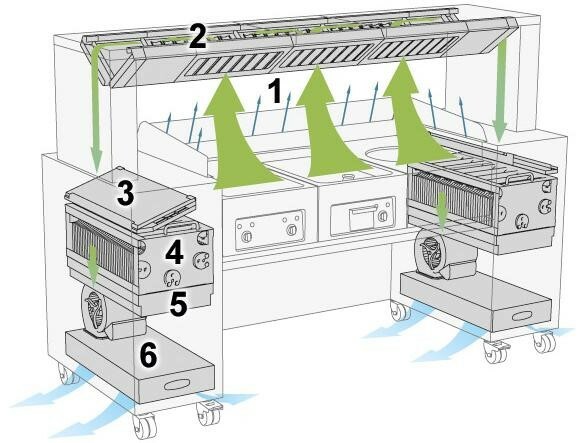 (4) Odour particles and blue smoke are reduced with the optional ION TEC filter system. (5) Activated charcoal binds odour molecules. (6) The cleaned air exits downward.